Just a Girl: All Hail Joyce! Remember a few days ago when I was destitute? Remember when I had given up all hope of finding my "inspiration picture"? My very. last. comment. was from Joyce. She gave me just the link I was looking for!! The power of networking, eh??? Thank you, Joyce! Okay. Here we go. 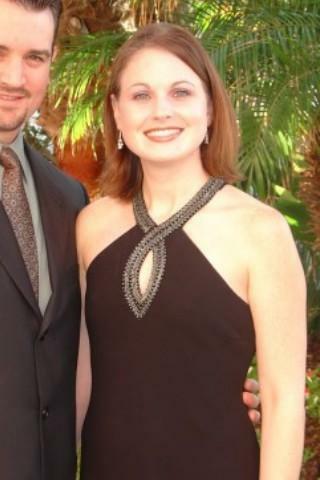 A while ago, I found this picture at Sarah's blog. It's called Clover Lane. Don't you just love it already? She could be an axe murderer, but her blog IS called Clover Lane so we'll overlook that. When I saw it, I (of course) enlarged it, examined it, stared at it, and spoke sweet nothings into its ear. We hit it off right from the start--the dresser, that is. I don't know why I'm so in love with this cookie jar of crayons. Maybe because it lives on Clover Lane. I DID know, however, that my mission was to find an antique dresser, paint it, and basket it up just like Sarah did! Then I came back to reality. Nothing just lands in my lap like that. I searched and searched everywhere (yes, ladies...Craigslist). My problem was that I had a rather narrow space to work with, and all the dressers I found were too big. Until....Wal Mart. Behold my beauty. It's a children's dresser. It has cute legs. I got it for free. Well, I got it as a Christmas present. It was $100.00...otherwise known as "free" when it's a gift. Yee hee! It's adorable, and it's the perfect size. The only problem is it's white. I think it looks like a dresser sitting in my eating area. So...when the weather breaks a little bit, I plan on painting it cream to match my kitchen table. But a little lighter like these--whatever matches my wood floors closest. Hi! I always enjoy stopping by your blog. I really like the dresser. Very Pretty. LOVE LOVE LOVE this! Can't wait to see it finished! Too cute! The dresser looks great there. I of course love the white . Cream will look nice with your table though. I like the idea of baskets for the bottom drawer. The jar with the crayons is fantastic. It just adds that bit of color. Humm... that would look nice in the playroom. I just may steal (oh, I mean borrow) that idea! It's very cute, and who knows, when you find the baskets you like, you might not want to paint it - I think the white is fresh and clean looking! I so enjoy reading your blog! You make me laugh and are always challenging me with your pics and decor! Your dining room is looking great! What a great deal on that dresser! I wish I could stand to go into WalMart more than once a year...there is some gooood stuff there!! I can't believe that was $100. What a great idea. So glad you found your picture. Wish I could enlarge it. Ahhhhh, I'm in LOVE! I sooooo want to copy that one. And ps, I think the dresser with the ever cute legs looks perfect. So doesn't look like a dresser in your dining room. I think I want to marry that cookie jar full of crayons...makes me swoon! I'm glad I'm not the only weirdo out there. Too adorable, what a great creative idea. Can't wait to see the final product! Wow, I love that dresser!! I can't believe it's Walmart. And I don't know if I could alter it, it's so beautiful. Ooooh, so glad you finally found your inspiration pic! And the dresser is too cute, what a great present. I love the dresser and basket idea! I can't wait to see the finished product! I have our crayons and stickers in similar jars. They work great! Hello there.. 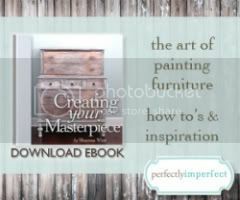 I just ran across your blog and love the stories, ideas and decorating info. Okay, now I see why you were obsessed. That is a very cute idea! I may have to borrow the idea for my office! Cool Idea! 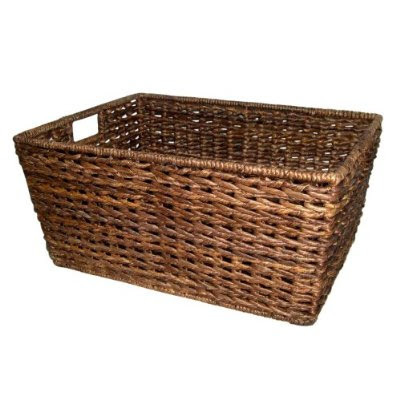 I just bought baskets like the ones you want at IKEA - and they are lighter in color - would be perfect! Oh, and the baskets are like $7 each! LOVE it!!! So glad you found your inspiration!!! Thank you for sharing that picture. I love it too! I think I might have to find some baskets to fit into the drawer spaces of a dresser I have where the drawers don't go in and out very easily. What a great fix! So happy for you that you found the picture :) Love your idea - looking forward to seeing it done! You make me laugh so hard! I do the same thing I find a picture I like so it's all good. Love the dresser and cream would be nice but just a thought here...how about painting it brown? It will get less dirty. I have a couch that backs up to our eat-in kitchen and there is a console table behind it. I am thinking something like this would be a lot more functional and worthy of the space. Thanks for sharing! I can't believe someone actually found it! That's amazing! It's very cute & I can't wait to see your version of it. I can't wait to see the final result. I have an old dresser that I'm not using because the drawers don't work well at all. BUT this is an amazing idea! I'll just take the drawers out! I am going to do this project sometime this year. I'm redoing a guest room so it will have just the perfect spot! Oh my GOSH! That IS so cute! Wait that's my house! Wondering why I got triple my hits in one day! Also...I thought about changing out my baskets recently...wouldn't fabric ones with a really cool print be neat! That's the hitch...it's really hard to find the right dimensions! How beautiful! I love that dresser! I really am in love with that sweet white dresser. Oh my goodness. I am being so covetous right now. Shame on me! That inspiration pic really is the best. I've been wanting to basket up a bookcase that I have. I've been trying rework our nonexsistant foyer with some storage (no closets to speak of) and to hide all of the junk that collects in a foyer with no storage. Can't wait to see how yours turns out! Hey, if you have a Michaels close by check there clearance Christmas baskets. They have the ones with the fabric lining but the baskets themselves are plain. Take the lining out and just use the basket...all Christmas stuff is 75 to 90 percent off right now!! WooHoo!! Ho fun is that! I love the dresser and the great idea of puttin baskets in it. It looks pretty darn good especially coming from Walmart wow! Oh and I just love how you write. "She could be an axe murderer but we will overlook that part" LOL I am still laughing. You are the best! I have such great ideas but my husband wants to save save save $...that really puts a damper into my "decorating" adventures! So now I talk about 100 calorie snacks! can't wait to see it all finished! i bet you could do something super cute with the drawers you take out. let us see if you do!! Absolutely beautiful! I love how you took your inspiration picture and really made it work for you. I need to get on the ball and do that too! I have been looking forever for a dresser like this to put in my office. Thank you for posting it!!! I love the dresser! Good luck with your version. There were some baskets at Hobby Lobby that matched the darker ones in your picture. Maybe your HL has some too! (They were in the sale section) I really like the crayons in jars too, but I'd be afraid of glass for awhile (for me, at least). Love the dresser! I'm always amazed by the things Wal Mart has! Wow! I really like the dresser. Even just the way it is now. It fits perfect doesn't it. What a great way to utilize that space. the kids will really like having their art supplies so handy. Great job on the find. I go to Wal-Mart alot. There is always stuff I like in there. VERY cute idea! I'm glad you found your inspiration photo. I've never seen that blog before. :o) I love that new dresser! And WALMART? Shut up! I was immediately attracted to your dining room pics. I love the neutrals and natural light. Simple and classic. Great dresser find! I love the crayons in the jar. I am definatley going to do that, we have so many crayons lying around in different drawers and the kids get so many from restaurants, that of course they just have to bring home!! Oooo. How cute is that? I love it & can't wait to see it when you're done. Great dresser find. It will look great with the baskets. I have taken the doors off of very outdated bathroom vanities and then placed baskets underneath. It really updates it. The dresser looks so perfect there! Great find! oh I am so in love with baskets and clear glass containers! :) love your blog! I love the cookie jar with crayons!! Wouldn't that be fun at a Children's art table!? Thanks for the ideas. PS. Can we do another "I can make that party?" I think January is a great time to start making birthday presents for the year and I love your ideas!! I am a fan of using glass apothecary jars for storage, and the crayons look so lovely in that one. I keep push puppets, pez, giant jaw breakers, candy buttons, you name it, and it goes in a big glass jar! I'm really thinking of making a memo corkboard for my kitchen. It looks nice and it'll be useful too! I love the jar of crayons, it is so cute! That is such a great idea. I can't wait to see the dresser when you get it finished. So pretty! 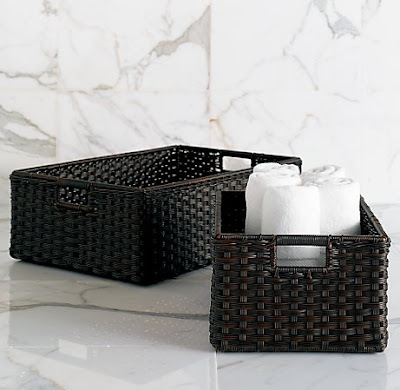 I saw the exact baskets (the ones that match your floor) for 12.99 at TJ Maxx! Gotta love TJs! Girl, I have a project like that, that I'm working on. However, I'm going the cheapy route. We have some wooden shelving (looks kinda like a back-less bookshelf) that we took out of our closet. When its warm enough here, I'm going to paint it black, go to Lowe's to find some cute feet for it, and then basket it up (as you said)... It will reside in my dining area under our family calendar and the baskets will be for my kiddos STUFF and the top will be where I set my purse each day. Can't wait to see your finished project! I love that little dresser! It's just darling and I don't think it looks like a clothes dresser in your dining room. I think you could totally pass it off. Although, I'm sure it's going to look awesome with the baskets in it! I love that dresser! Very nice! Great freebe!! !I adore the crayon jar too! Cute blog. I actually think the white looks really nice in there. I love the decor on top of it also. Great blog, I have enjoyed browsing through it. Im going back to red more now. Cute dresser! I love the crayon idea. But my kids love their makers more than crayons and they run out so fast.